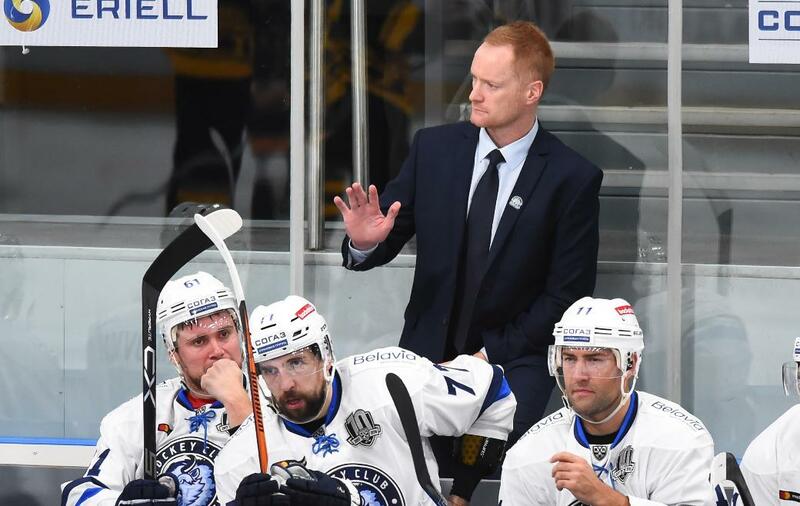 Dinamo Minsk head coach Gordie Dwyer, former Tampa Bay Lightning, New York Rangers and Montreal Canadiens forward, spoke to KHL.ru about his first year with the Belarusian team, the challenges he faced during the season, and his hopes and expectations for the next campaign. 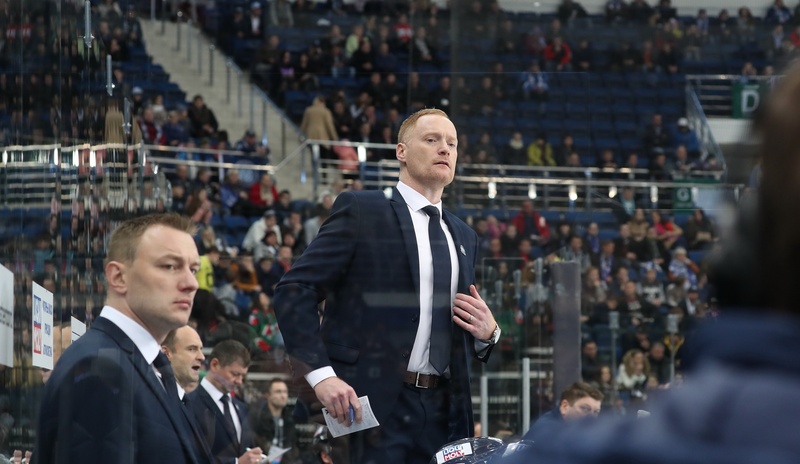 Last summer, at the beginning of July, Gordie Dwyer was appointed as head coach of Dinamo Minsk after two years with Medvescak Zagreb. While his first year in the Belarusian capital failed to yield any miracles, and the team was unable to book a playoff berth, the management are keeping faith with the likeable Canadian and have secured his services for another year. – Did you expect to be offered a deal to keep you at the club? – We have a good relationship with the management so we could have some fruitful discussions. By the end of the season, it was just a matter of time before we signed. – It is a great vote of confidence from the management. – We had their support throughout the whole season. Certainly, I appreciate it as coach, and it is great for the entire our staff. We have been fortunate to have such backing. – What was the hardest part of your first season at Dinamo? – The beginning of camp, then finalizing the roster and starting the season. I came to the team in the first few days of July, and that did not give me much time to prepare for the season, but we have been competitive and we battled for a playoff place right to the very end. – Dinamo produced some great performances, such as those against Metallurg and SKA. – Sure, we had some highlights during the season, like that great comeback win against Metallurg. These are the kind of memories you want at the end of a season – moments which mean you can hold your head high. – What did you think of the open-air game against Dinamo Riga in Latvia? – That was a special event. It was great to be just part of it, for sure, but we were also lucky enough to win. It is not just a good way to celebrate 10 years of the League, but it is also a good way to attract new fans. The KHL and the Riga club both did a great job. – What is your view of the situation regarding limits on foreign players for Dinamo next season? – Our focus is to develop local talent and support the Belarus national team, so we want to have the best available Belarusian players. 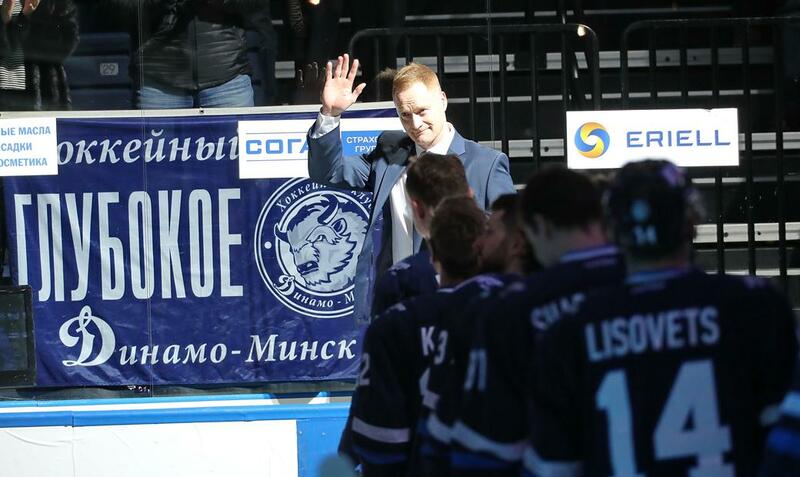 It was a season of transition for Dinamo, moving toward a team with fewer imports. This situation placed more responsibility on the shoulders of home-grown players such as, for example, Yegor Sharangovich, who played very well and had a good season for a young player. We'll probably have the same structure in place next season, and we are building a team brick by brick. – Jhonas Enroth played a big part in Dinamo's improvement over the campaign. – He had an excellent season, and we hope to keep him at the club. Enroth is an important player for the League, he has earned everyone's respect, and he is very popular. – Do you regard your year in Minsk as a special experience? A new culture, new challenges? – It is a great opportunity with a lot of responsibility, and I'm proud of my time in Minsk. The organization here is a great; we have to continue to work in Dinamo’s best interests, to help develop hockey in Belarus, and to help the country identify with its hockey team. We're not just coaching players in our own team, but also helping young coaches. Dinamo is more than a KHL club, it is a whole system, and when hockey is your passion, then you are delighted to take part in training sessions for children's teams. – How often do you communicate with your compatriot and Team Belarus head coach Dave Lewis? – We had a dialog all through the season - about players, and the national team. He knows the players very well. When I started here, he gave me a lot of help with finding players we could have faith in, and who was worth watching. Relations between us are good, but of course I don't need to help him in his job with the national team. 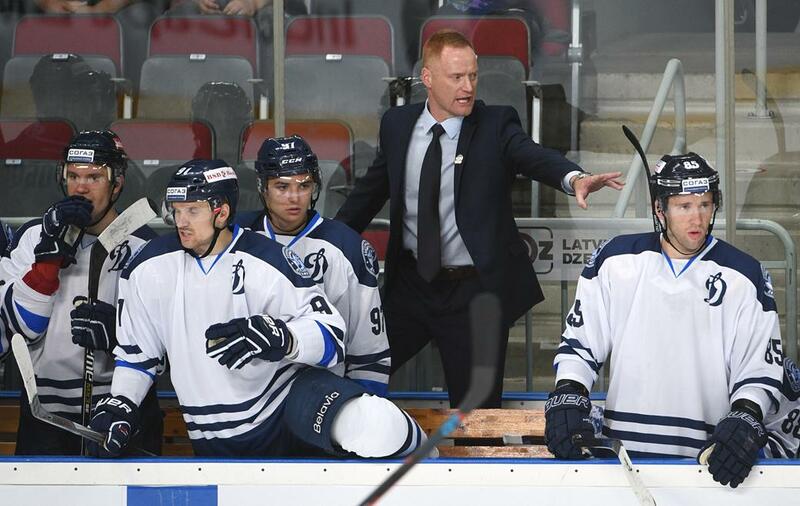 Our club needs to be a competitor in the KHL, and that will help Team Belarus immensely. – Do you have any problems communicating with your team, due to differences in mentality, Slavic culture? – I've never felt that it was a problem. The staff have supported me, the players have had non-Russian speaking coaches before me, and hockey is still hockey wherever you go. My coaching staff do a great job translating the messages to the players. The language has not been a barrier. – What can you tell us about your assistants, Konstantin Koltsov and Sergei Stas? – They know that this is a great opportunity for them too. They are highly motivated and they want to become top coaches. And you really should see their level of enthusiasm. They are growing as coaches and helping the guys to grow as players. – Do you feel that you are growing as a coach? – It is my daily responsibility to grow as a coach. It has been a year since I took up this challenge, and it has been fully worth it from both a personal and professional aspect. I hope everything continues on the same path next year. – Are the playoffs the main target for the team? – We want to become one of those teams which regularly reaches the playoffs, and that's a permanent goal for the team. We need to improve, but we are hungry for victory. 2017 – present: Dinamo Minsk (KHL).